High-quality, high-purity reagents that meet your life science research needs, all from one source, with over 1,000 products dedicated to key applications in areas of cell biology, protein chemistry and molecular biology. A variety of grades are available to support your specific application, providing end-to-end solutions for higher productivity in your routine life science research. Obtaining optimal results in your research requires careful selection of reagents. 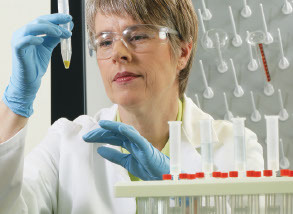 With our core bioreagent buffers, you can meet the need of every budget and scale in your lab. For those applications that require more stringent specification, we have the Molecular Genetic Grade that has been pre-validated to meet stringent specifications.